Should All Children be Required to Read Aloud in Class? Reading aloud is a tried and true method for building literacy in young students. Many of us can remember going around the room and reading a page from a story book, or being called on to start the next paragraph. But for some, this test of reading ability can be stressful, especially for children who struggle with language. English language learners (ELL’s) particularly can find themselves at a complicated crossroads when reading aloud is required; they need the practice to facilitate their learning, but failing to read in front of their peers is embarrassing and can reaffirm feelings of inferiority or marginalization. This begs the question: Should each child be required to read aloud? The answer is not a definitive yes or no, but should instead be weighed carefully by educators. The benefits of reading aloud are indisputable. As Mary Renck Jalongo points out in Literacy for All Young Learners, reading stories aloud to children helps them recognize letter sounds and vocal patterns easier. 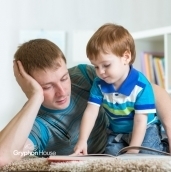 As children become more familiar with a story, they begin trying to read it aloud themselves. Even if they have the book memorized verbatim, seeing the printed words while speaking them makes a connection between the letters on the page and the sound the child is making. Thus reading is born! Once children have a firm grasp on reading books with which they are familiar, they can apply these newly-learned principles to new books. When students read new stories aloud, they are reinforcing the connection between writing and sound, and making reading easier.. Consider the child’s emotions. Stop to think about how the child is feeling. Perhaps draw on your own memories of reading aloud in class, or think of other forms of public speaking that might make you anxious. It’s important to identify the severity of the child’s fear. A little nervousness when reading aloud is normal. However, if the child is beginning to practice avoidant behavior, react aggressively, or shows signs of shame (crying, hiding their face, etc.) then their anxiety is more severe and you may want to consider not having them read as often. Use repetition and intentional vocabulary instruction. Repetition is one of the most effective tactics for teaching. It is easier to apply a concept to something that is familiar; therefore, it is easier for children to read a sentence if they have heard that phrase aloud before. One way to use this to a student’s advantage is through a popcorn-style read aloud where the next reader is randomly selected by the teacher. Instructors can try to align the section given to the shy student to a repetitive phrase. Take, for example, a book like Brown Bear, Brown Bear, What do You See? The book has a distinctly repetitive structure. If a child is struggling with reading, having them read a phrase that they have already heard several times may lessen some of the anxiety; they know what this sentence is supposed to sound like, so they have a greater chance of getting it right. In Brown Bear’s case, the child would only need to read one new word (the name of the new animal) since the rest would follow the pattern of the titular phrase. Get in touch with the beginner’s mind. Children see the world differently. 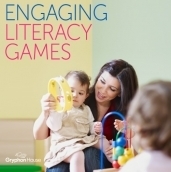 When learning to read, they are often at an age where they begin to look for cause and effect, but don’t yet have the life experience to make those connections correctly. It is therefore easy for them to assume that struggling to read aloud means something is wrong with them—that they are broken, unintelligent, or inferior to their peers. Some students also may think that the ability to read aloud will just suddenly happen, like a growth spurt, that one day they will wake up and have the ability to sight-read easily. To understand how best to help a child, one need to get inside that child’s mind and see how they are approaching the situation. After that, teachers have a better idea of how to remedy the problem. It is a difficult call as to whether or not reading aloud should be a mandatory part of the classroom. The risks and benefits can be difficult to navigate, but in the end it is the teacher’s decision to do whatever they believe will best help their students learn.